Anchor your advertising relay when you send out individualized Swimming Invitations in advance. 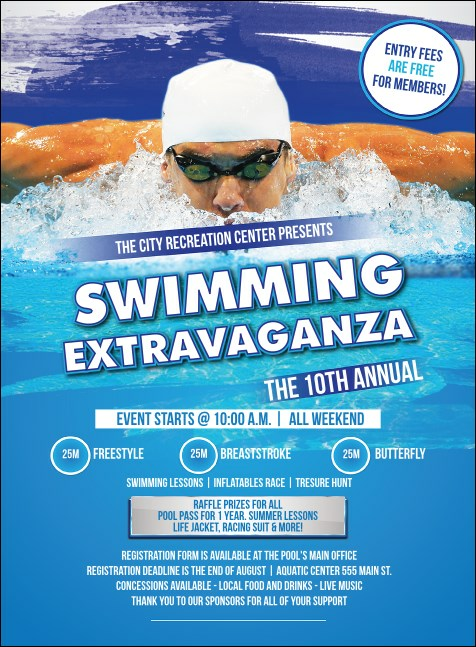 Promote your next swim meet with sporty Invitations that feature a brilliant blue background of water with a swimmer in mid-stroke working for the win. Include all your event details with up to twenty-two lines of printed text. Check-in to great advertising at TicketPrinting.com.